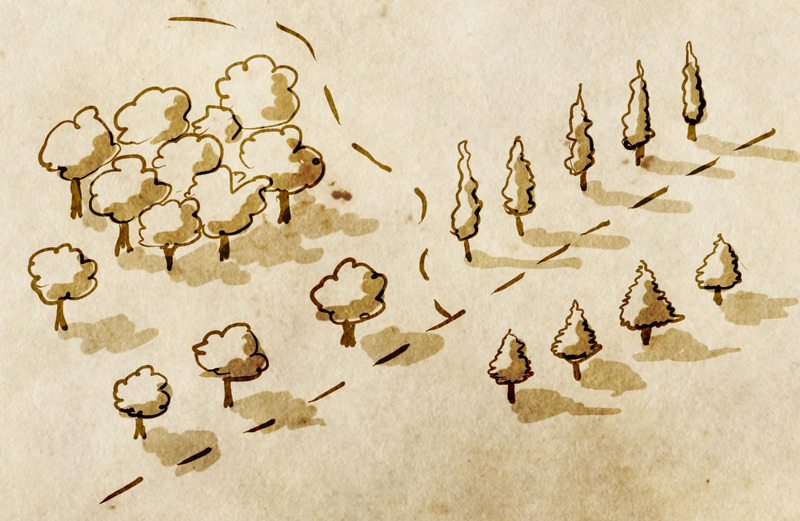 It’s really easy to draw trees on a map and make them look pretty. It’s also really easy to get close, decide they look rubbish, and stop. 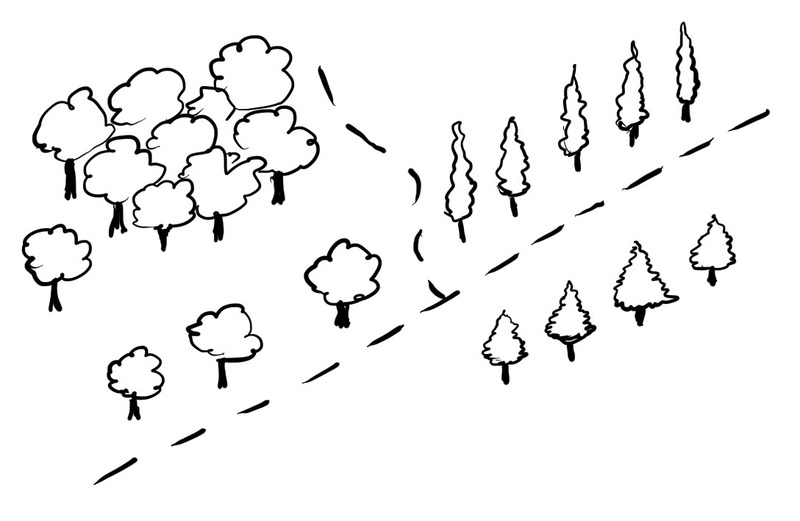 Here’s a quick method for drawing a Middle Earth style forest on a map. Here I’m using Procreate on the iPad. The only piece that involves digital trickery is the blend modes – and they can be achieved in Gimp (free) or Photoshop (not free). If you’re using pen and paper, you can do the same by using a dark pen for the outline, and then a mid-grey or mid-brown pen for the shadows. Then age the paper in the oven (and don’t set it on fire). The first step here is to draw a simple outline. This can, and should, be incredibly simple. If you get too convoluted, you’ll hate yourself. You’ll be drawing a lot of these, so make sure it’s a simple shape, and don’t sweat it. Here I’ve gone with simple cloud shapes for the deciduous forest. I try to make the base (the lower edge) a little flatter. For the forest, I always start at the leading edge (the edge closest) and work up from there. For the trunks, I’ve used a simple line and a thicker line weight. Adding different trees is easy. I’ve got a line of poplars, and a line of conifers. Now, if you look at any of these trees individually they look nothing like an actual tree. Don’t worry about it – you’re creating a pattern that a user will recognize – and that they will necessarily associate with the type of forest you want them to. These are caricatures of trees, and they all work. I’ve added a road in here to show, simply, how these features could integrate into a broader map. So are we done? We could be. If you draw a forest like this at scale on a map you’ll find out two things: (1) it’ll look pretty good and (2) you’ll have a sore wrist. But we can do better (not the wrist – that’s a given). 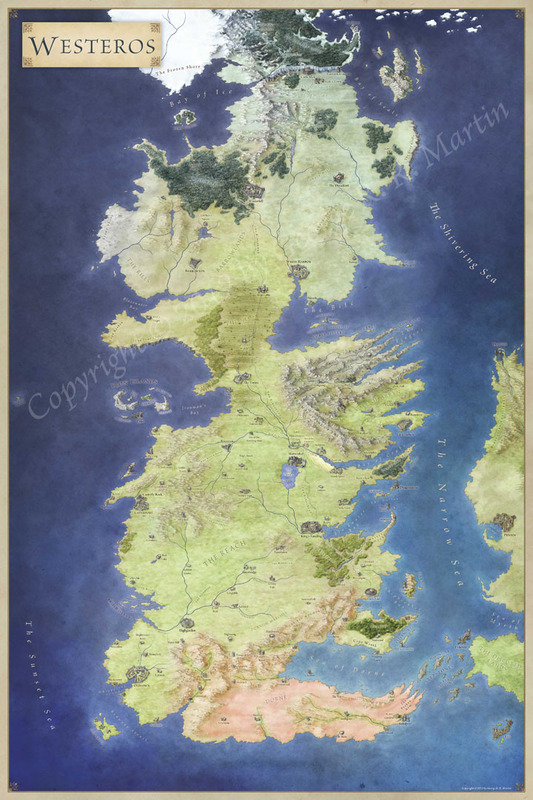 There’s a cheap trick to turning a simple map into something prettier. Get an old paper texture, lay it under the lines, and switch your layer blend mode to overlay. 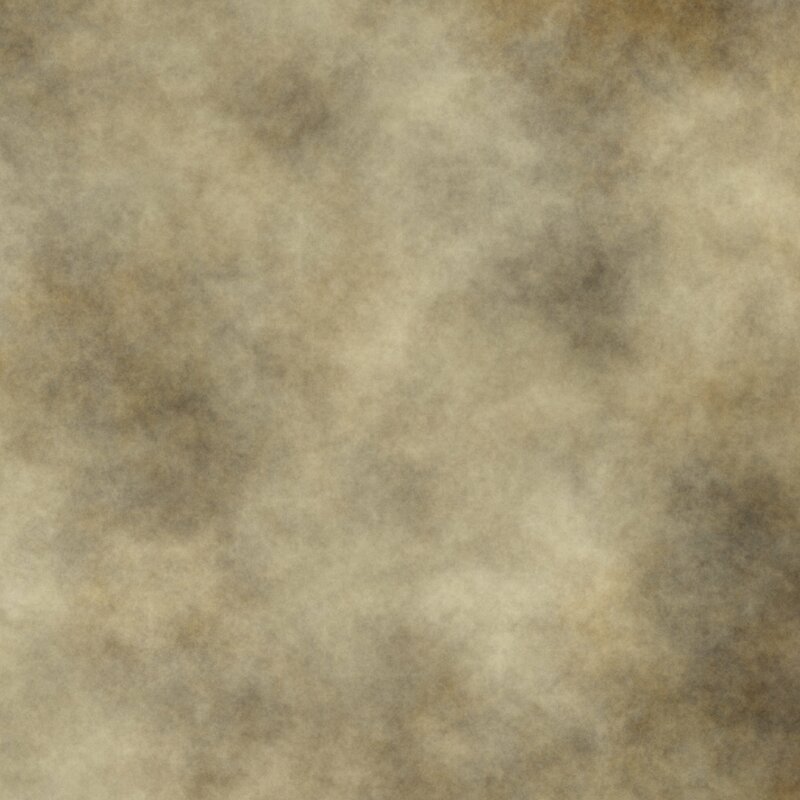 Here my background texture is pretty light, so I actually have three layers of my lines to get this effect: 1. normal blend mode at 4% opacity, 2. overlay at 100%, 3. overlay at 100%. The balance between the normal layer and the overlay layers determines how brown the lines are, rather than black. Add another overlay layer, take a larger round brush (ideally still with pressure sensitivity determining size) and lay in simple shadows. You’re just aiming to roughly fill in the side of the tree away from the light – here I’m taking the light source as top left. For the deciduous trees I fill in from around 1-2 o’clock, round to 7 o’clock. For the tall trees, I fill down the right hand side, and across the base of the foliage. As a separate exercise, I fill in a cast shadow. Here I try to reference the shape of the tree. The poplars cast long shadows. The deciduous trees cast a bulbous cloudy shadows. The evergreens cast pointed shadows. Note that all the shadows start from the base of the tree trunk – and if you draw a line between the trunk, and the tip of the shadow the lines will all be parallel. And there you have it! 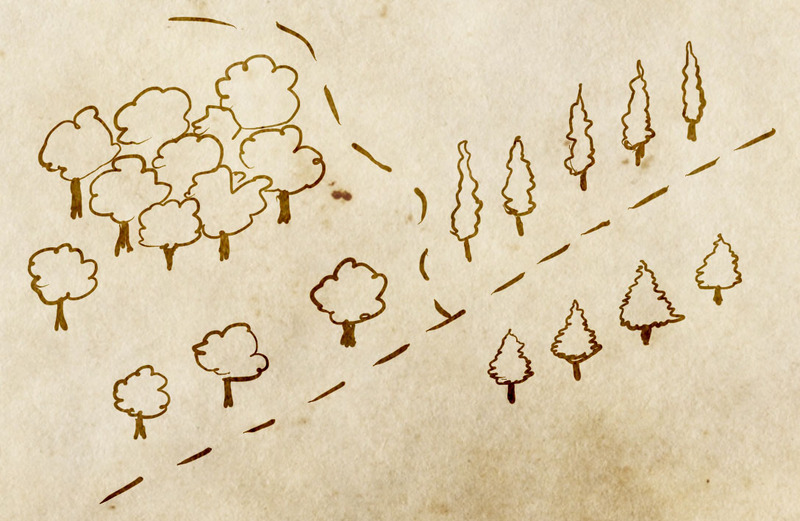 It’s simple enough – and when you fill a map with these you map will be full of beautiful forests. I’ve uploaded the full .psd of this tutorial file here. Can you make more with the tag, ‘middle earth style map’? I love Tolkien’s works, and his maps, and that’s the kind of maps I like to draw, with the 2d style mountains. Any advice would be much appreciated.